Residential Door Supply - Union Pro Installation Guaranteed! Join the many homeowners who have made Jersey Architectural Door & Supply Co. in Atlantic City, New Jersey, their only source as a residential door supply. No matter the size or the specific type you seek, you’re sure to find it within our vast selection. We install using a team of union trained installers – the best pro’s available. Unlike similar businesses, Jersey Architectural Door & Supply Co. is a full-service distributor and installer of residential doors. If you can’t find the specific door you seek, don’t worry. We have an on-site fabrication shop to handle your needs. Need your door installed or replaced? We can schedule an appointment for your home or project that is delivered on time by union trained door service professionals. We have partnered with the best residential door manufacturers throughout the country. We provide the most options available at the best price. As a residential door supplier we help contractors and homeowners gain access to top level products at low level pricing. Why go to a big box store when we are a local residential door distributor that can supply your home or business throughout the region? Call us today to start your next project. Our service techs are ready to tailor your new door to whatever use you have in mind. If you don’t find the door you need in our Atlantic City showroom, we are happy to custom order doors, or to do on-site modifications at our fabrication shop to make sure your needs are met. Then, it’s as simple as scheduling an installation appointment with our technicians and finalizing any details. So why go through separate residential door supply and installation companies? Pick Jersey for your next residential door and experience the benefit of having residential door supply & installer under one roof. 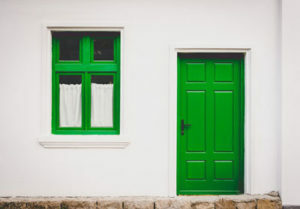 We have supplied and installed metal and wood residential doors to homes across the northeast U.S. As a company, we pride ourselves on being family-owned, and never being too busy to have to give up small jobs. After all, it’s our South Jersey community that made us the region’s premiere residential door supplier and installed. We want to give back and serve every client in our community, from the biggest multi-million dollar estates to the most humble working-class family homes. From wooden door brands like Mohawk™ Doors, Woodgrain Millwork™ and Algoma Hardwoods, Inc.™ to pre-hung steel and fiberglass door brands like Masonite™, Stanley™ and ThermaTru™ Doors, Jersey Architectural Door & Supply Co. offers a wide catalog of residential door sizes, types and brands to meet the needs of any project and any budget. We also offer handsome, decoratively crafted exterior wood doors for those looking for aesthetic value. Have Questions About Our Catalog of Residential Doors? Want To Know More About Our Installation Services? Here are just a few of the manufacturer’s we deal with. If your looking for a certain make or model, give us a call we’ve been in the door business since 1923. Below you can click on many of the manufacturer’s names and be linked to their residential door product lines. Contact us to revamp the look of your home with one of our affordable residential doors.